The Tampa personal injury attorneys at Darrigo, Diaz & Jimenez, Attorneys at Law can safeguard your rights and future! Call the team today. Have you sustained injuries in an accident? Have you suffered the loss of a loved one due to medical malpractice? If you or someone you love has suffered harm due to another person's negligence, recklessness, or distraction, contact the Tampa personal injury lawyers at Darrigo, Diaz & Jimenez, Attorneys at Law. They can form a strong defense on your behalf and help you pursue maximum compensation right away. When you need an aggressive team on your side of the courtroom, look no further. At Darrigo, Diaz & Jimenez, Attorneys at Law, the Tampa personal injury attorneys are committed to excellent services and top-tier legal advocacy no matter what the case may be. For your free consultation, contact the team immediately. Together, this team has over 75 years of experience! 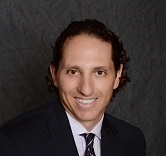 Attorney Ronald D. Darrigo brings years of experience to Darrigo, Diaz & Jimenez, Attorneys at Law. 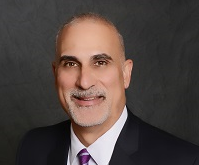 Backed by more than three decades of experience, Attorney Darrigo possesses the knowledge and skills it takes to obtain positive results for his clients. He commits 100% of his practice to litigation and helps those experiencing matters involving personal injury law and insurance law. Currently, Attorney Darrigo is admitted to the Florida State Bar, the United States Court of Appeals 11th Circuit, and the United States District Court Middle District of Florida. Prior to founding Darrigo, Diaz & Jimenez, Attorneys at Law, Attorney Darrigo attended the University of South Florida, located in Tampa, Florida. He graduated from the university in 1982 with his Bachelor of Arts in Finance. Following his undergraduate coursework, he enrolled in Stetson University College of Law. In 1986, he earned his Doctor of Jurisprudence. Since then, he has devoted his life to helping others. 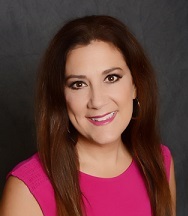 Since 1988, Attorney Nadine Diaz has dedicated her law practice to helping individuals experiencing complicated legal matters obtain positive results. Due to her passion to improve the lives of accident victims, Attorney Diaz focuses the majority of her practice safeguarding the rights and futures of those involved in catastrophic and serious accidents. She firmly believes every victim has the right to retain experienced legal advocacy. Over the years, she has handled a countless number of cases. When a client entrusts Attorney Diaz with their case, they can rest easily knowing she will examine every detail of their accident to build a strong defense on their behalf. In addition, she provides her clients with aggressive representation both inside and outside the courtroom, so her clients never have to worry about the complicated legal matters. Instead, clients can focus on the road to recovery. If you have been harmed in an accident, contact Attorney Diaz. She has the experience to pursue justice for you. Backed by over a decade of experience, Attorney Eduardo Jimenez retains the skills and knowledge it takes to help his clients pursue positive outcomes no matter what their cases may be. While he focuses the majority of his practice on personal injury and wrongful death, Attorney Jimenez also has experience handling criminal law cases, where he holds negligent, reckless, or careless individuals responsible for their actions and the harm they cause to victims. Before joining Darrigo, Diaz & Jimenez, Attorneys at Law, Attorney Jimenez attended Stetson University in Deland, Florida. At the university, he completed his Bachelor's degree. Following his undergraduate coursework, Attorney Jimenez enrolled in Stetson University College of Law where he obtained his Doctor of Jurisprudence in 2003. Currently, he is a member of Hillsborough County Bar Association, Florida Trial Lawyers Association, and Tampa Bar Trial Lawyers Association.